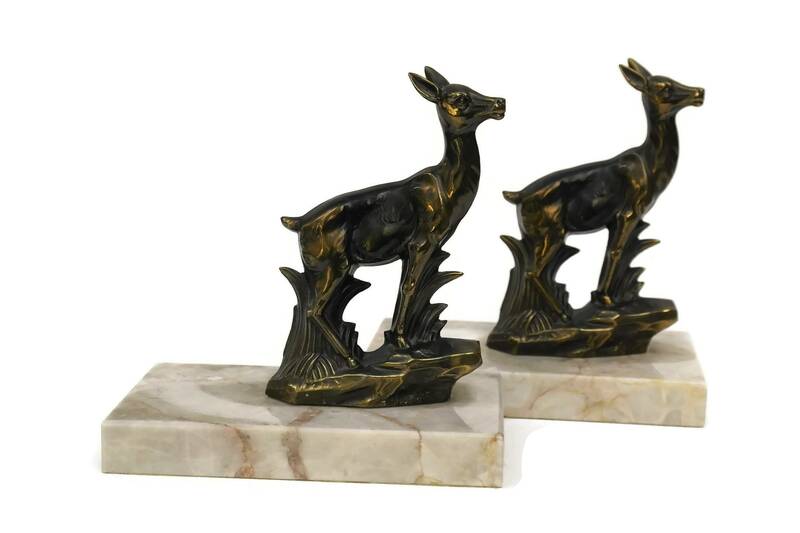 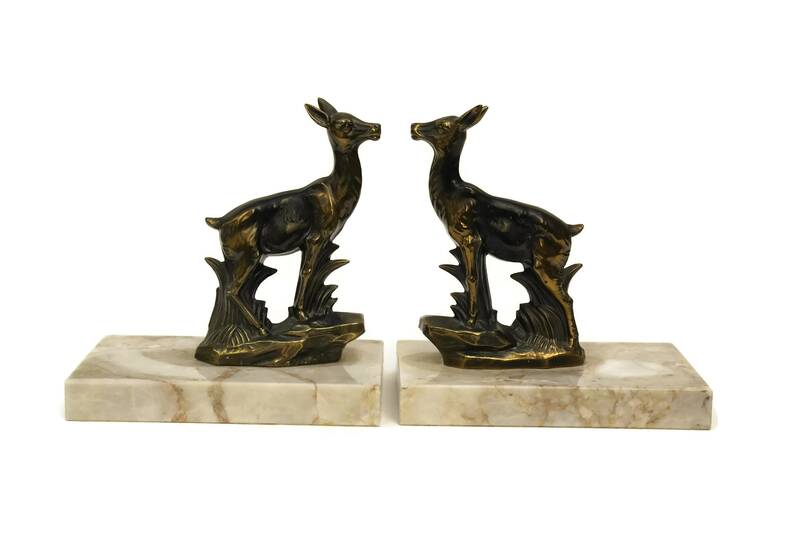 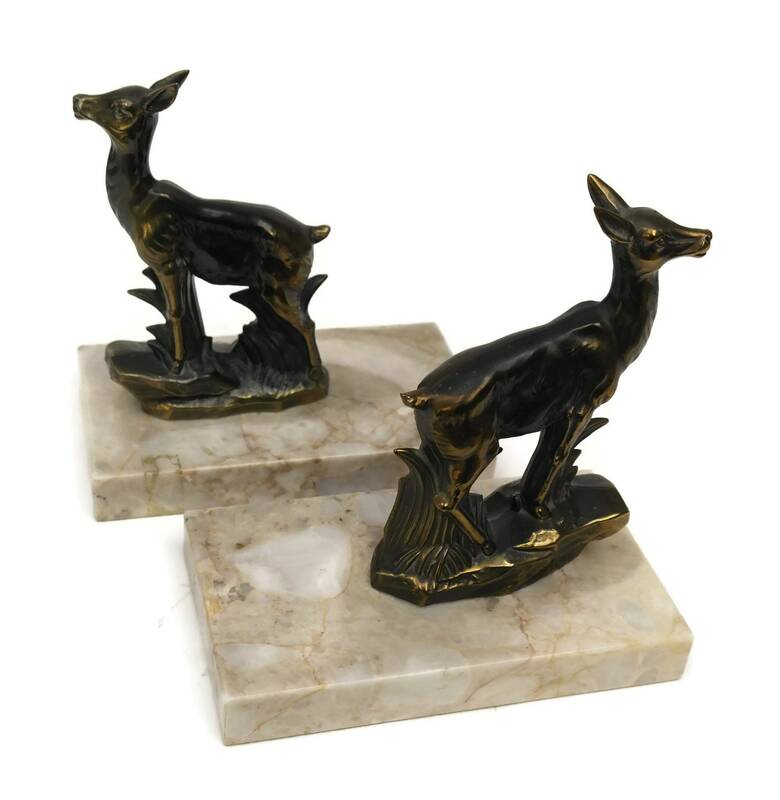 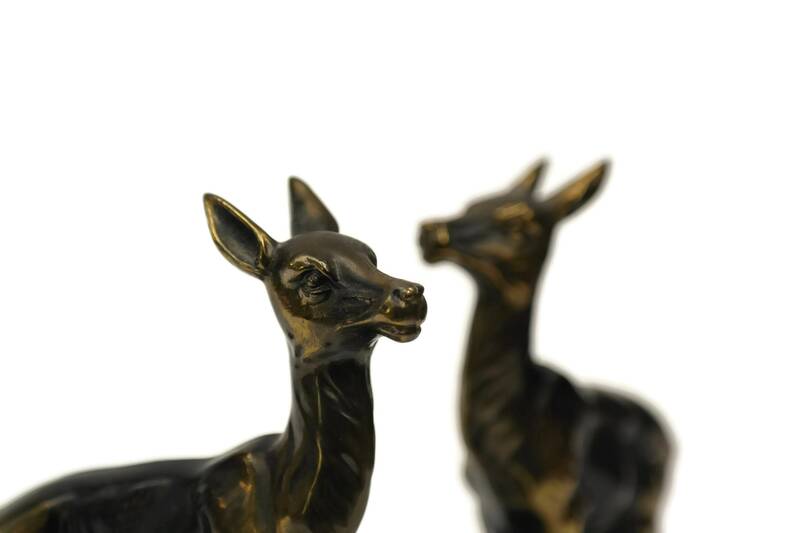 A charming pair of Art Deco bookends with deer figurines. 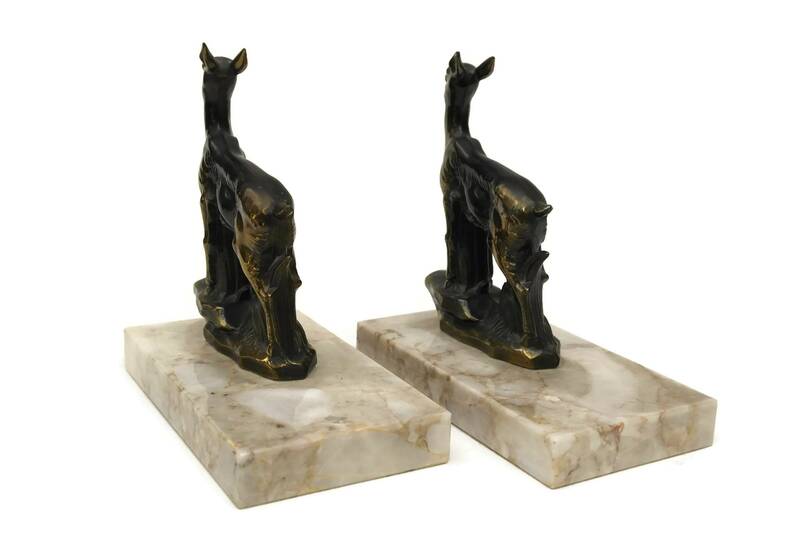 The vintage French animal statue book ends have been cast from spelter and decorated with an aged bronze patina. 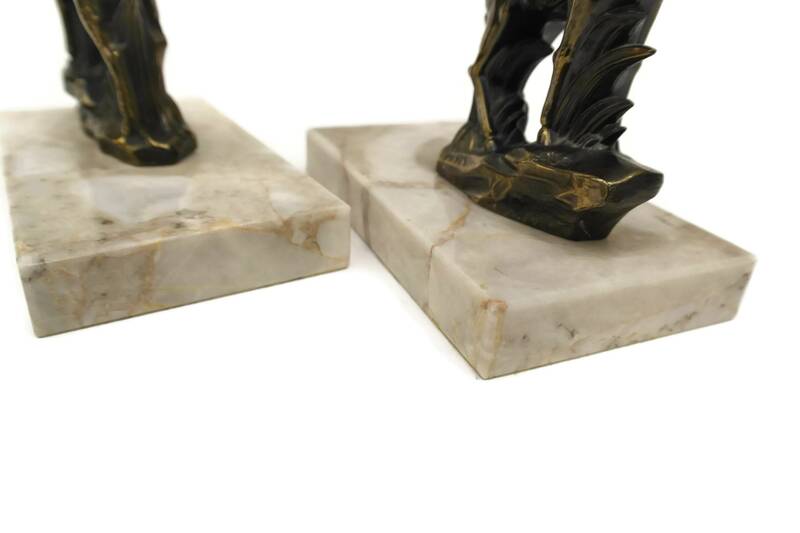 They are supported by polished stone bases. 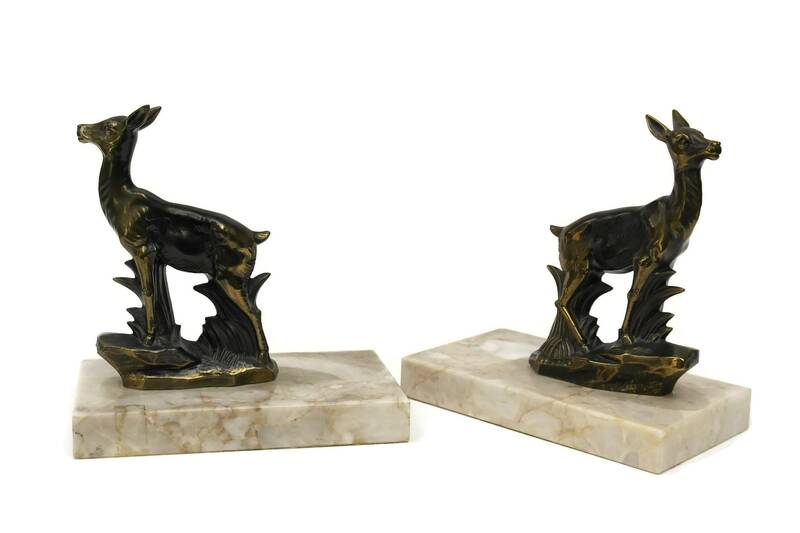 They will make a great book lover gift. 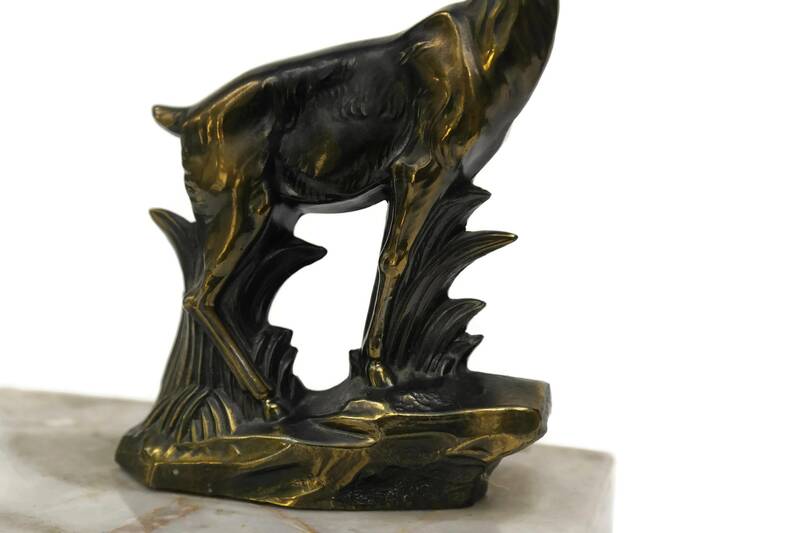 (14 cm x 15 cm x 8,5 cm). 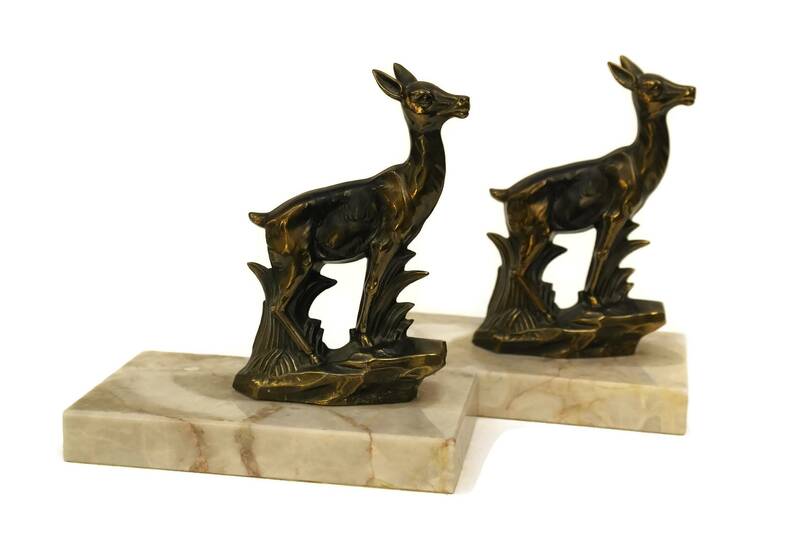 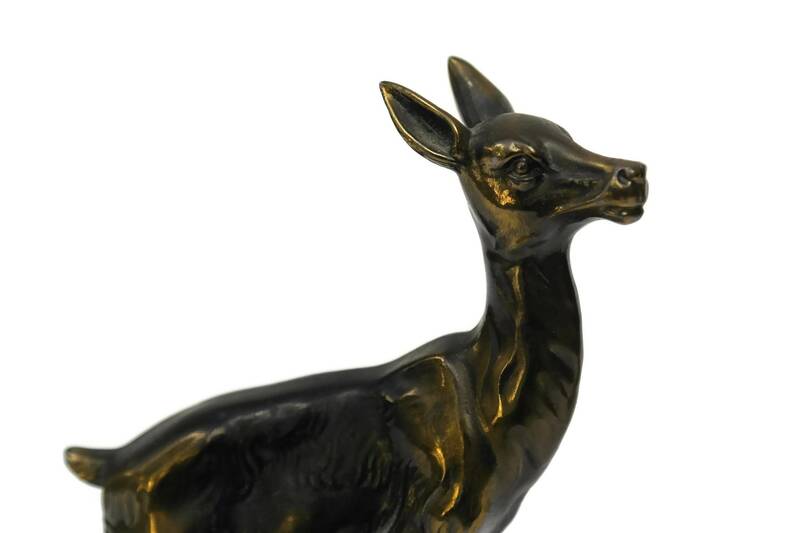 The Art Deco deer bookends are in good vintage condition with patina and light wear to the metal.